A Russian citizen is lost in Colombia’s western jungles, allegedly after he escaped from ELN guerrillas who had kidnapped him six months earlier, the rebel group said Sunday. According to the ELN, which is currently negotiating peace with the government, they lost Voxkanya Arcen Levoni on Wednesday after he grabbed one of his captors gun and escaped shooting, allegedly during an operation to release him to the Red Cross in Bajo Baudo, Choco. The ELN and the government have agreed to mutual humanitarian gestures, like the release of hostages and imprisoned guerrillas, to de-escalate the armed conflict while the warring parties hold peace talks in Quito, Ecuador. The 42-year-old Russian’s allegedly violent escape left five guerrillas injured, the Marxist rebel leadership said in a press statement. “The Central Command regrets not having been able to successfully conclude this release and the tragic outcome,” the ELN press statement read. Arcen Levoni was allegedly kidnapped approximately six months ago while looking for poisonous toads to sell on the international market. He was initially identified as an Armenian citizen. The area where the former hostage is now lost is among the most dangerous jungle regions of Colombia as it is not only home to the ELN, but also their arch rivals, the paramilitary AGC group. Both parties have clashed on numerous occasions over the past few months, causing multiple civilian casualties and several instances of mass displacement. 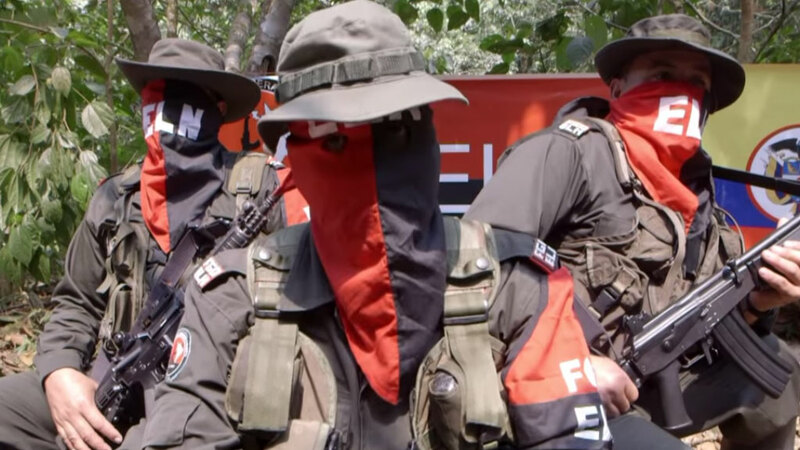 The ELN, Colombia’s last-standing guerrilla group, has been fighting the Colombian state since 1964 and for decades has used kidnapping both for extortion and political purposes. The group released its most prominent hostage, former Congressman Odin Sanchez, in February.